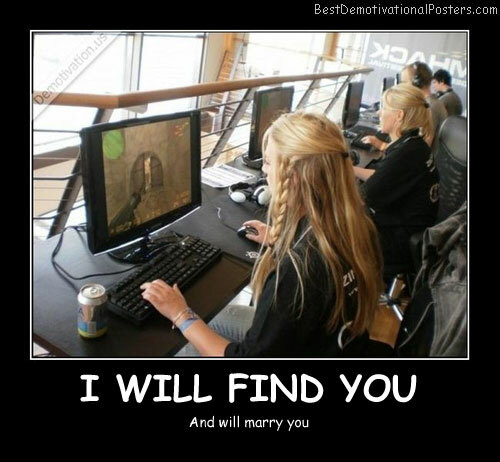 I Will Find You - And will marry you. 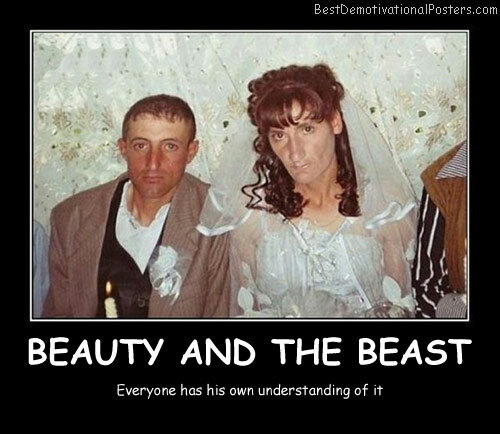 Beauty And The Beast - Everyone has his own understanding of it. 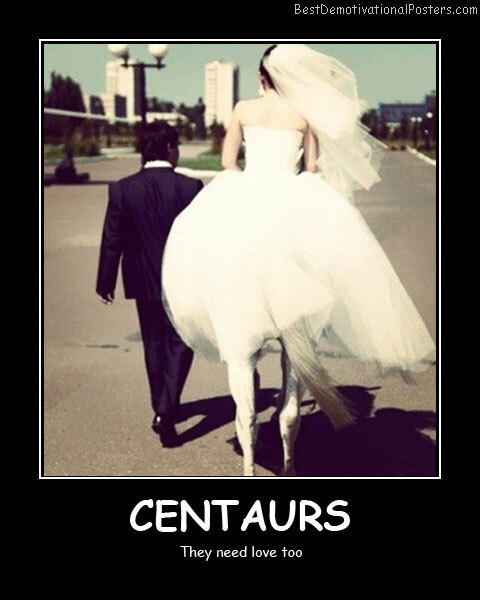 Centaurs - They need love too. 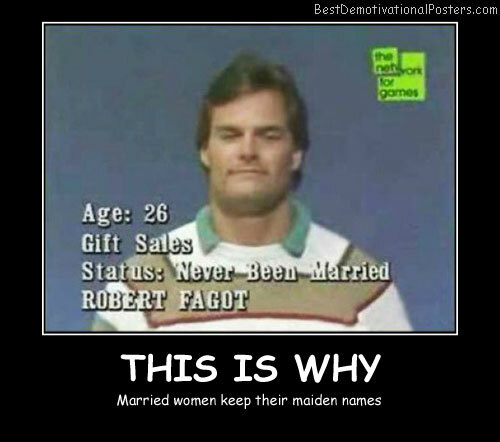 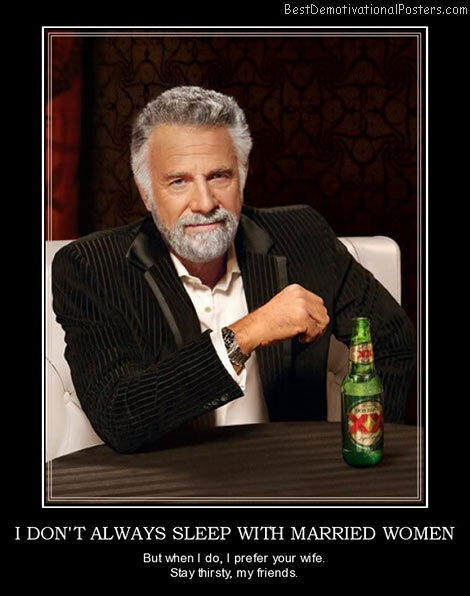 This Is Why - Married women keep their maiden names. 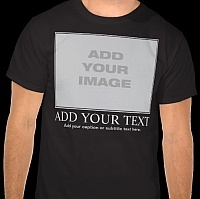 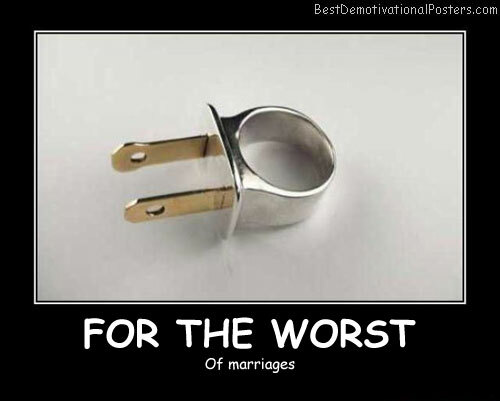 For The Worst - Of marriages. 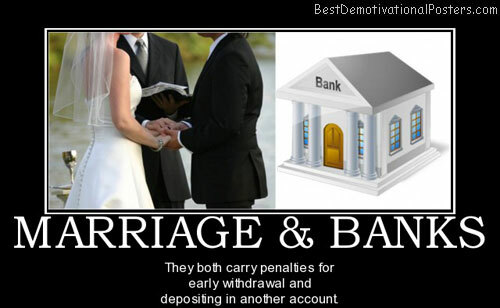 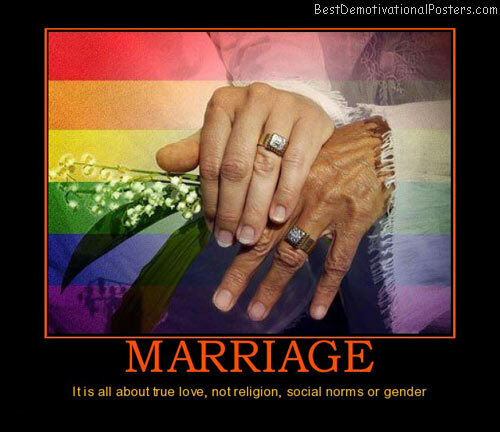 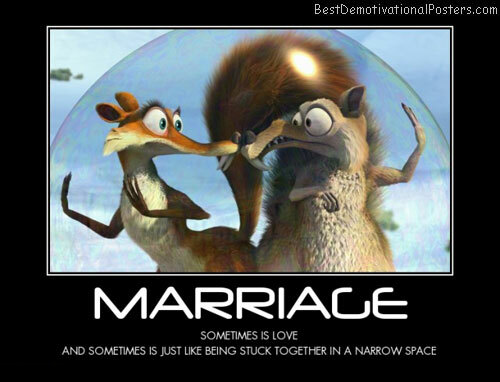 Marriage It Is All About Love - Not religion, social norms or gender. 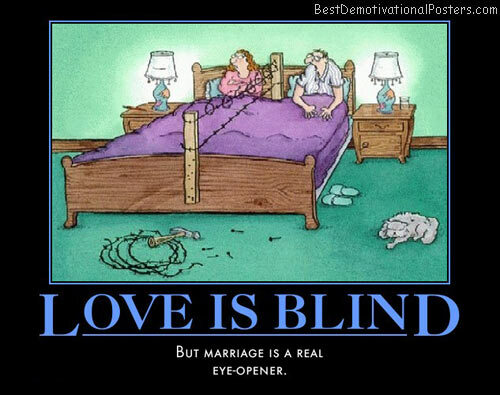 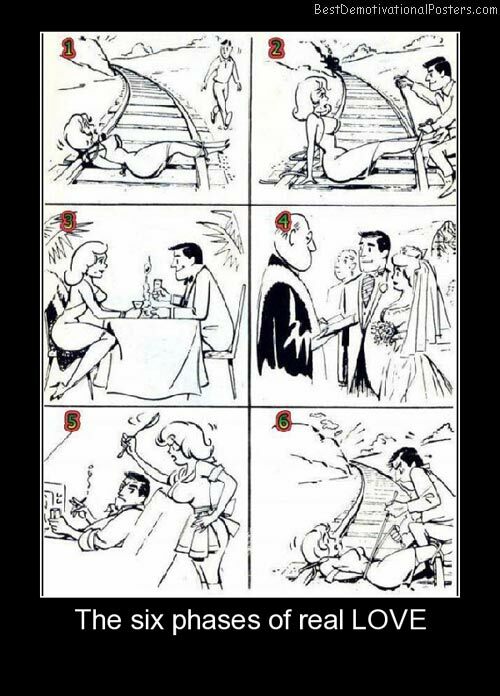 Love Is Blind - But marriage is a real eye-opener. 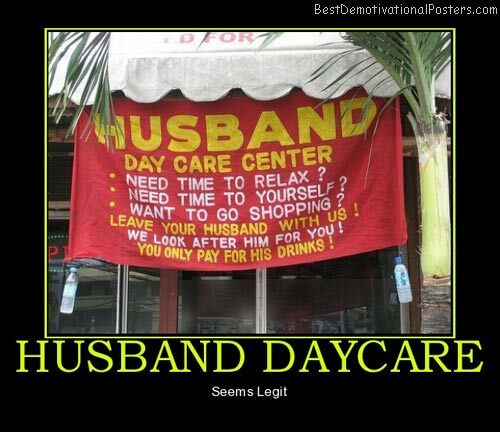 Husband Daycare - Seems Legit. 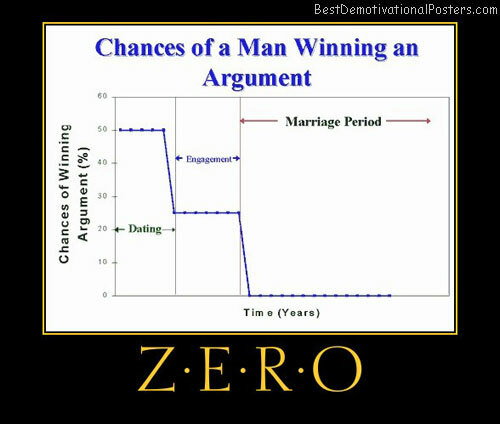 Chance Of A Man Winning An Argument - Zero. 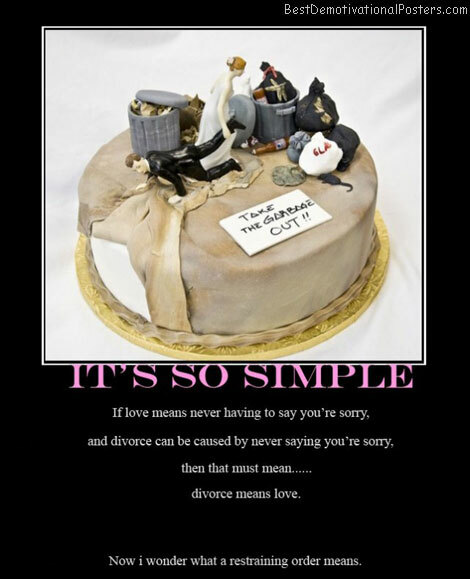 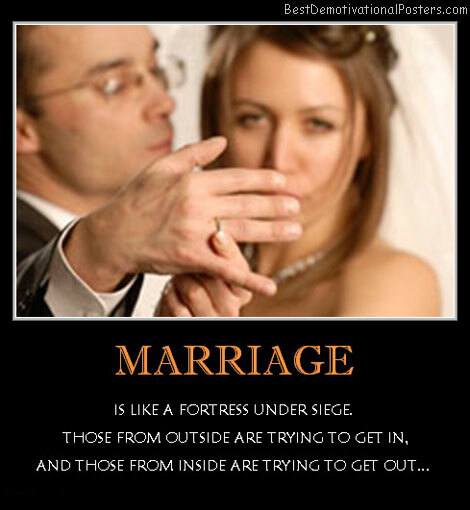 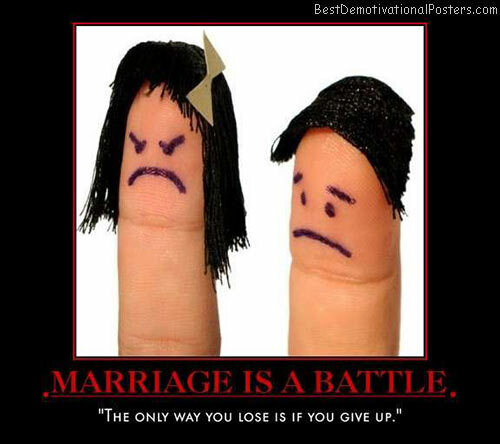 Marriage Is A Battle - The only way you lose is if you give up. 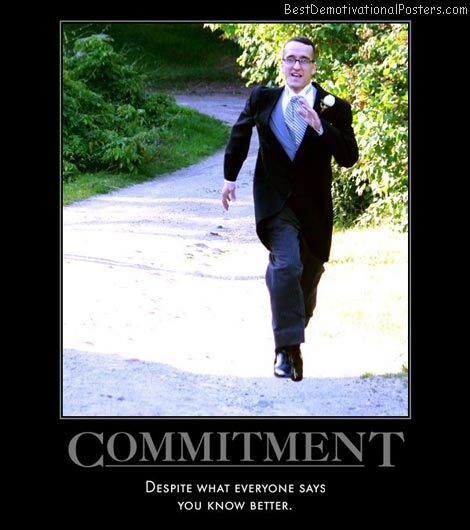 Commitment - Despite what everyone says, you know better. 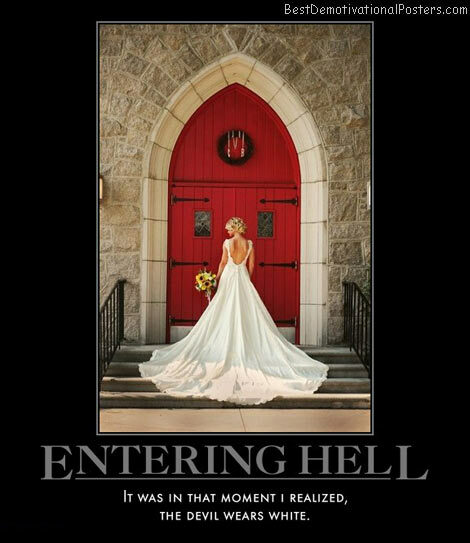 Entering Hell - It was in that moment i realized, the devil wears white. 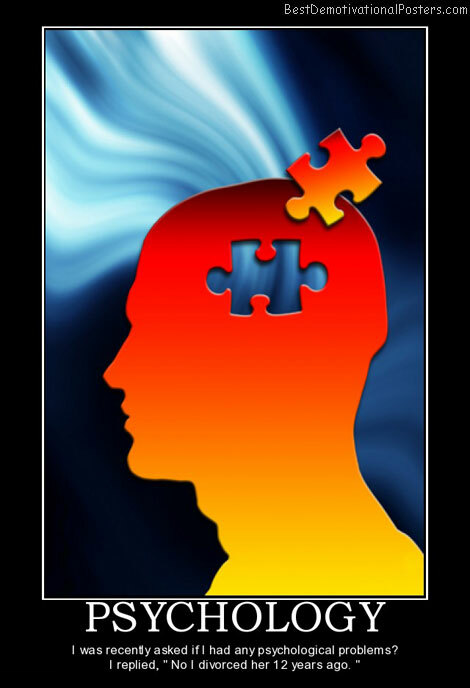 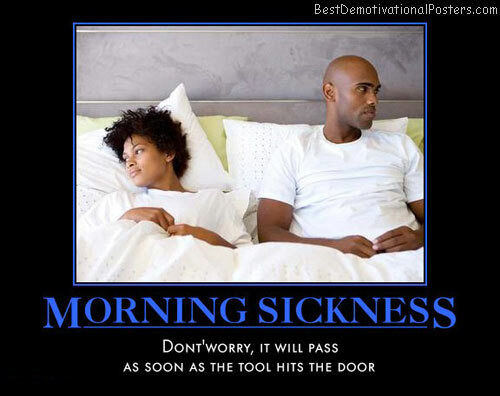 Morning Sickness - Don't worry, it will pass as soon as the tool hits the door. 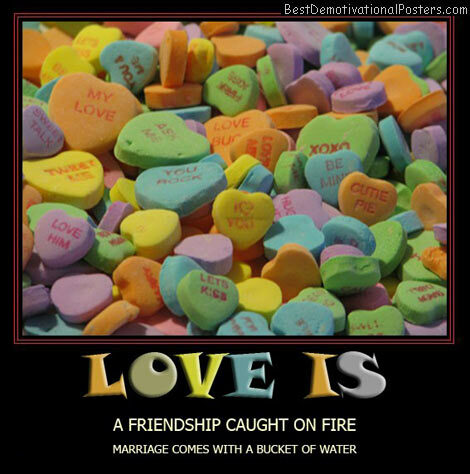 Love Is Friendship Caught On Fire - Marriage comes with a bucket of water. 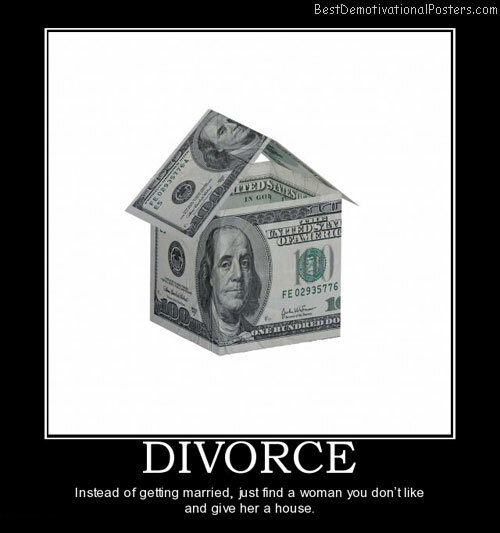 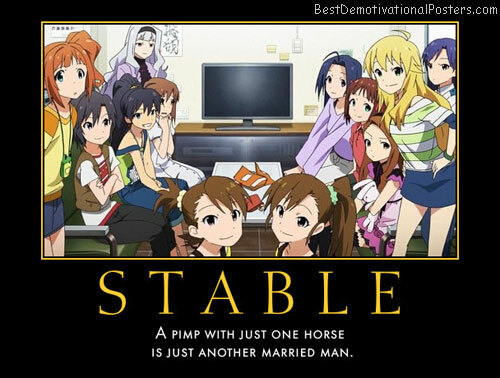 Bigamy - Is having one wife too many. 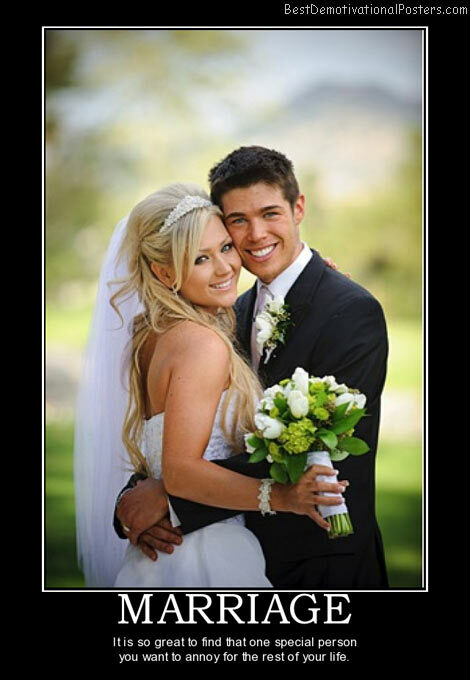 Monogamy is the same.